The Agruss Law Firm specializes in helping consumers break free from debt collection agencies. They knew that the best way to help their clients is to create a mobile app the specialized in Consumer Law. Now you have a personal lawyer at your fingertips to help you end harassment from credit and debt collection agencies. 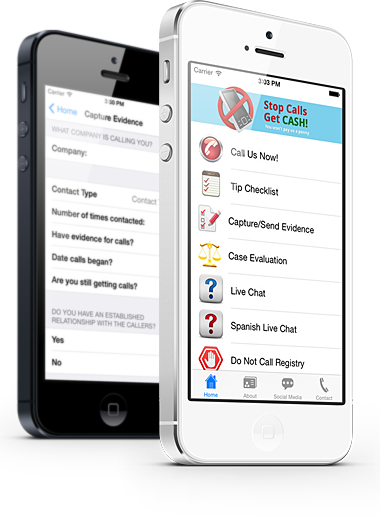 Stop Calls Get Cash connects you with legal resources and a legal advisor so you can get the compensation you deserve for illegal phone harassment.